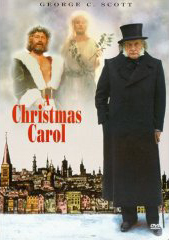 A Christmas Carol is a 1984 version of Charles Dickens' classic tale, A Christmas Carol. The main character is Ebenezer Scrooge, portrayed by George C. Scott, a bitter old miser who cares more about gathering money than he does about the welfare of others. He feels that the taxes that he pays for institutions such as workhouses cost enough, and he shouldn't be bothered with donating any more to the poor. Furthermore, he believes that Christmas is a commercial holiday, devoutly to be ignored. He thinks that Christmas is a humbug. In the movie, he is visited by his old business partner, Jacob Marley, who has since passed away seven years earlier. 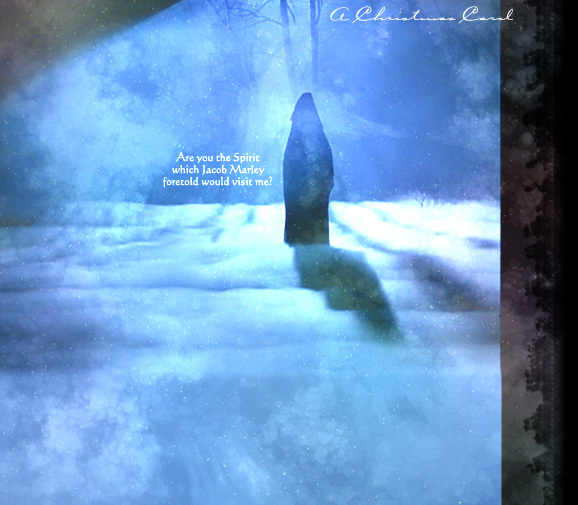 Jacob warns him of the fate that awaits him if he continues the course on which he is traveling, and offers him a chance and hope of escaping his own fate. Ebenezer will be haunted by three ghosts, the Ghost of Christmas Past, the Ghost of Christmas Present, and the Ghost of Christmas Yet To Come, who show him that Christmas, loved ones, family, and helping others, are anything but a humbug.